It’s hard to imagine something as vast and evergreen as a lawn growing from a seed — but it’s true: Like all plants, grass gets its start as a seed, and often, homeowners need to use seed to improve the health and look of their lawns. However, few homeowners know that grass grows from seeds, let alone how to use grass seed in their lawn care regimens. 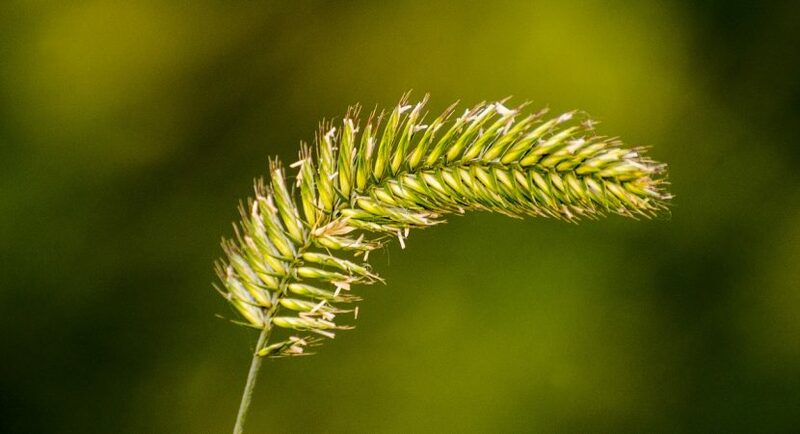 If you are new to lawn care or struggling to get the lush, green lawn of your dreams, here’s what you need to know about grass seed. All grass is green, but that doesn’t make all of it the same. There are thousands of different varieties of grass, and each variety grows in a different way — which means you need to be careful about the type of grass seed you choose. For example, if you live in the hot, arid Southwest, trying to keep alive a tall fescue lawn will only bring you pain and hardship; meanwhile, if you live in the moist, chilly Northeast, Bermudagrass or Zoysiagrass will drown or freeze. You can find more in-depth guides to specific types of seed around the web, and you can always talk to lawncare professionals for guidance on grass varieties. That way you can avoid major mistakes when you first choose your grass seed. You might also be interested in picking up a seed mixture or blend, which could suit your soil and climate better than a pure seed. It’s important that you carefully read what you buy, so you know you are getting the lawn you want. Soon enough, you should start to see little green shoots emerge from the soil, telling you that your lawn is alive. All young living things require special care, and grass is no different. It is crucial that you work hard to provide the exact right environment for your new lawn, so it grows appropriately thick and wards off diseases and pests. Different types of grass will require mowing at different points of growth, but you typically don’t want to mow a brand-new lawn for the first time until it reaches 3 to 4 inches in height. This is because you want to give your lawn enough time to grow strong roots, so the lawn mower doesn’t simply pull out the seedlings as it passes. Another way to prevent this is to lower the throttle of your lawn mower, sharpen the blades and set the mowing height to remove only about a half-inch — and if this seems like too much work, you’d best hire a local or Jersey lawn mowing service to help during the first few mows. After the first mow, you can start reducing the frequency of your waterings, but you should increase the depth. Two waterings per day is sufficient until the grass starts thickening and growing laterally, at which point you can slowly reduce watering to every second or third day. Longer drinks less often encourages your lawn to grow deeper roots, which will keep it healthier in the long run. Raising grass seed into a thick, gorgeous lawn is a science. Fortunately, it’s a science that most homeowners can easily understand. By knowing as much as possible about your seed, you can treat it right and enjoy its life as an integral part of your property’s landscape.